Mozilla has recently unveiled two smartphones as a Developer Preview, which will be the two first models available with Firefox OS. They are being developed by two Spanish companies – Geeksphone, a company that designs smartphones, and Telefónica, a communications giant. The first phone, called Keon, is more or less an average smartphone. It is equipped with a Snapdragon S1 SoC 1Ghz processor, complete support for 802.11N WiFi networks, 2G and 3G, a ton of internal storage (4GB), and 512MB of RAM memory. The screen is 3.5” with 480×320 pixel resolution. It also has a 3 megapixel rear-facing camera, GPS, and a MicroSD slot for memory expansion. The second phone, the Peak, is basically the same device, but with a 4.3 inch screen, and 960×540 screen resolution, front-facing camera for video conferencing, rear-facing 8 megapixel camera, and a dual-core Snapdragon S4 1.2Ghz processor. You could say that the Peak is the Sport edition of the Keon. Although there still isn’t any official news about how much the devices will cost, rumors indicate that the price tag for the most basic model will be somewhere between $100 and $150. Both phones will be available in February if everything goes according to plan. Also, both will come unlocked so they can be used with different carriers, and will receive updates periodically, just as Android does. Mozilla has been polishing up Firefox OS since last year, which is basically a Linux distribution that has some similar features as Android. 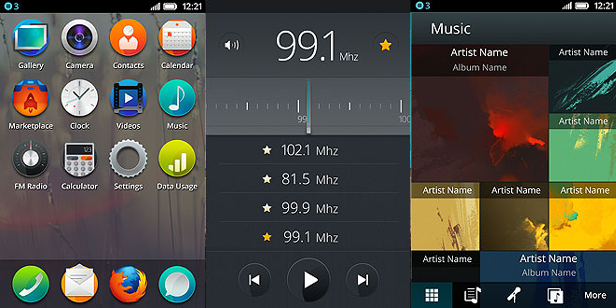 The Firefox OS codename is Boot to Gecko because the operating system is based on Gecko, the layer and window system that gave life to the popular web browser Firefox. 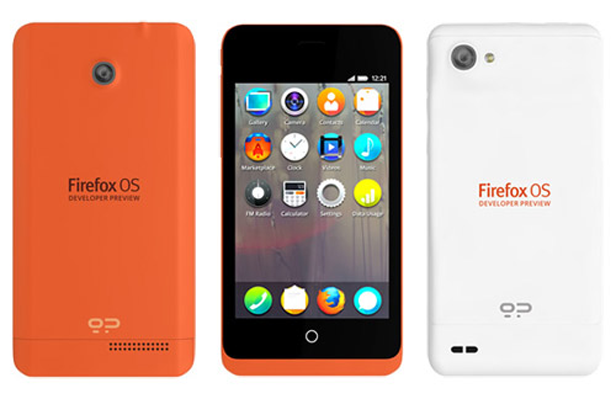 The motivation behind the Firefox OS project is to provide a completely independent environment for smartphones, separate from the philosophy in Android and iOS regarding the sale and development of applications. It is truly a beautiful idea, but without the objective of competing with its closest rivals, in my opinion it is doomed for failure. That being said, it will be fun to see Firefox OS arrive on the market after so many months of uncertainty, and if a company as big as Telefónica is the one in charge of bringing these devices to the consumers, there is still the possibility of a decent battle against Android and iOS. And the larger the OS variety, the more options consumers have to choose from, and the more healthy competition there will be among developers.